Laurels Value Pack: A Perfect Blend of Highly Durable Modern Day Material Styled With Pure Craftsmanship and Trust of Million of Customers. 3 Card Slot, 1 Coin Pocket & 2 Secret Pocket.????? 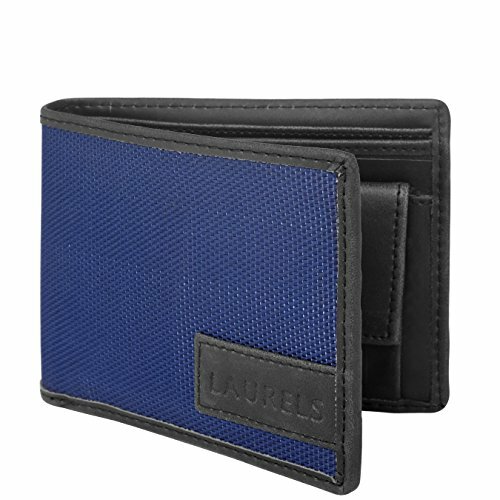 This Blue color handmade wallet is crafted from finest form of Faux Leather and is designed by house of Laurels Brand. We are offering you 12 Months Replacement warranty against all manufacturing defects. GIFTING HAPPINESS: GIFT BOXED: It will be presented in an appealing gift box, making it as a ideal gift. Gifting is known to be one of the five languages of love. There is no individual in this world who does not feel the love and affection of the sender when they receive a gift.